Though I wish I could claim credit for the delightful recipe you are about to read, I cannot. 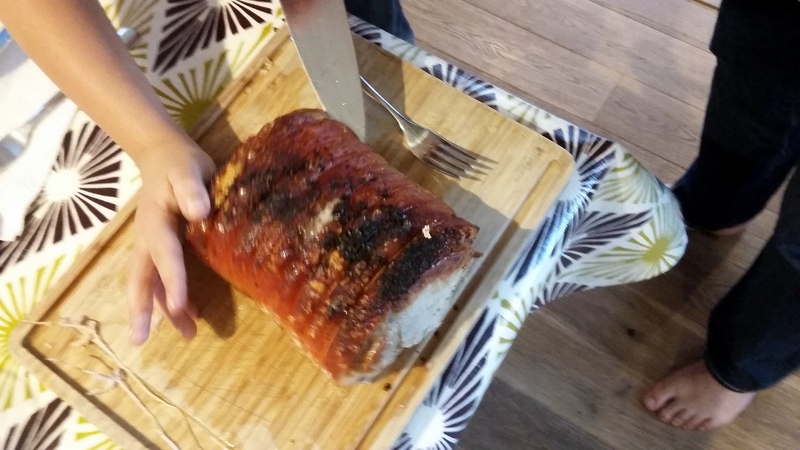 I was recently contacted by a very talented budding chef taking his early steps (or at this rate, strides) into the world of cooking, for whom I am privileged to share this meal for Crispy Crackling Pork. 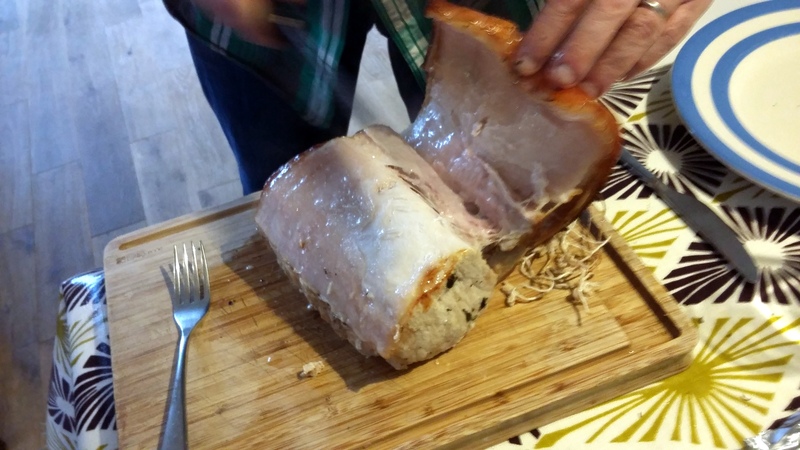 A truly crunchy, crisp crackling has alas, always eluded me – I must turn to Sunday carvery for that satisfying snap (and even broke my braces many years ago for the pleasure). Strap in, ladies and gentlemen, for #youngchef’s rendition of this classic. Preheat oven to 200C while washing and chopping your veg. Add garlic cloves and herbs, then transfer to a large roasting tray. Cover with oil. Score the skin of the pork and drizzle on oil and runny hunny glaze. 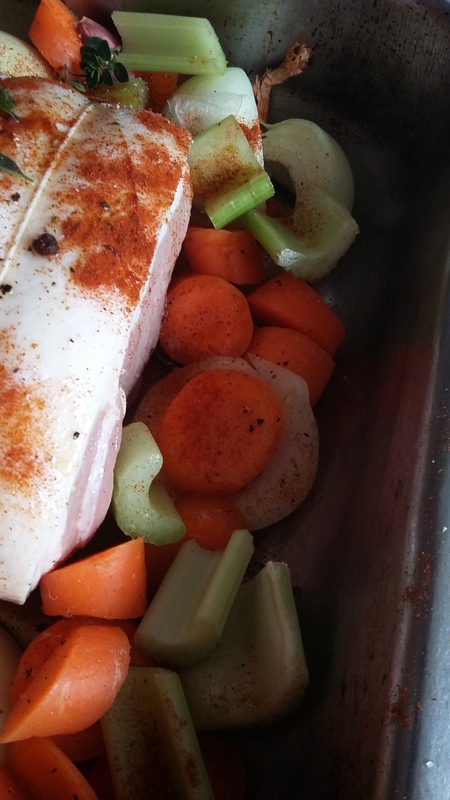 Season with salt, pepper and smoked paprika before placing pork on top of the veg in the tray. Top with more chopped herbs. Place in the oven and cook for 1 hour and 20 minutes. Baste half way through cooking process. 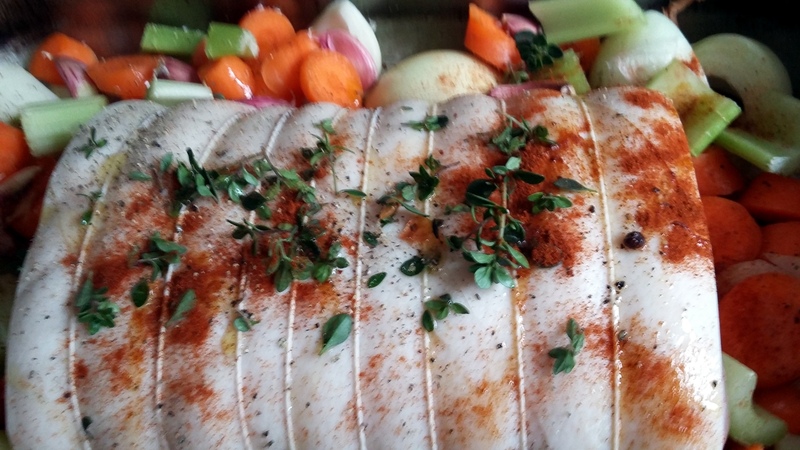 When cooked, allow the pork to rest before peeling off the skin and placing the crackling in a tray under the grill for 10 minutes until suitably crunchy. Rest all and serve with gravy. If you would like to hear more from #youngchef, stay put, for I will shortly be linking to his fantastic new blog where you can get even more creations from this very talented young man. 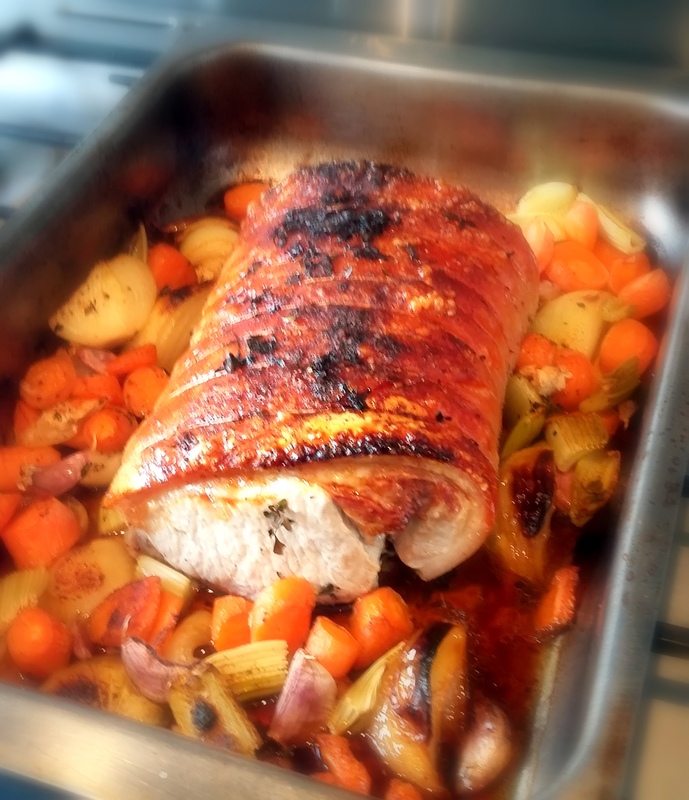 Posted in Mains, One Pot, PorkTagged chef, cooking, crackling, food, meat, pork, protein, recipe, roast, vegetables, young cooking, youngchefBookmark the permalink. Wowsers – this looks amazing and I’ve only just eaten. 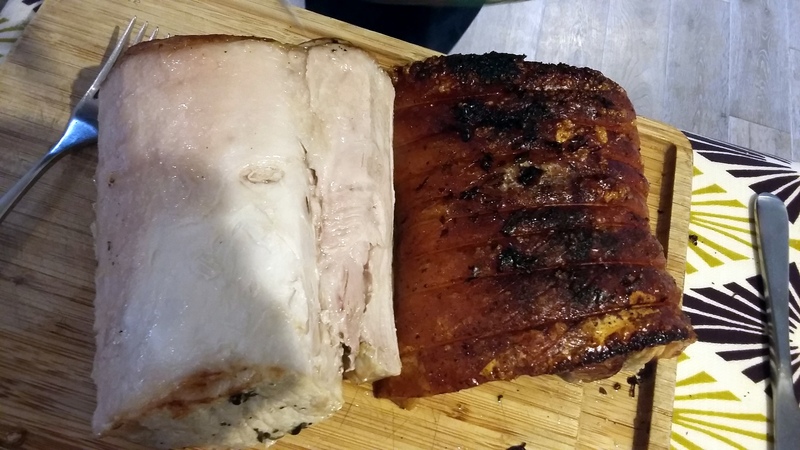 Perfecto crackling! How wonderful! I’ll try this one for sure! As we say ‘down under’ “Get some Pork on your fork”. Well done Young Chef!